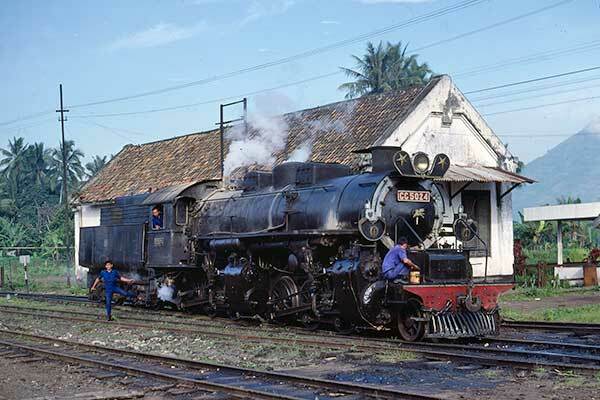 Caption - Mallet CC5024 enters the shed yard at Cibatu. Externally in good condition, these locos were perhaps not so good mechanically with steam leaking from many places. Built in 1928 by Werkspoor in the Netherlands, this 2-6-6-0 was one of the last working main line mallets in the world.